Tim Lincecum was recently photographed at a baseball training facility looking absolutely jacked. The training facility later confirmed that Lincecum was working there and would be showcasing his throw for teams in the near future. 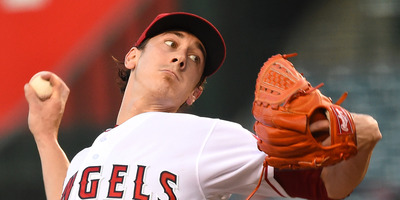 After falling from one of the best pitchers in baseball to an unstartable player, it looks like Lincecum is attempting to make one more run at the majors. Tim Lincecum’s fall from Cy Young winner to relief pitcher with an ERA over nine was swift, but a recent photo of the former San Francisco Giants ace shows that he might be gearing up for a comeback. Lincecum began his career as one of the hottest pitchers in baseball, winning back-to-back Cy Young awards before he turned 26. He was never a large pitcher – weighing in at just 170 pounds and standing 5-foot-11, modest for a pitcher – but what he lacked in size he made up for with placement and a devastating splitter. But as years passed, hitters caught up with Lincecum, and his stat line quickly fell from All-Star level to back-of-the-rotation numbers. In his final year in the majors, Lincecum left the Giants for the Angels, and started just nine games. In 38.1 innings, he posted a 9.16 ERA. We won’t know if he still has the stuff that made him a household name until we start seeing him throw and face major-league hitting, but the the possibility of another run in the big leagues suddenly looks believable.